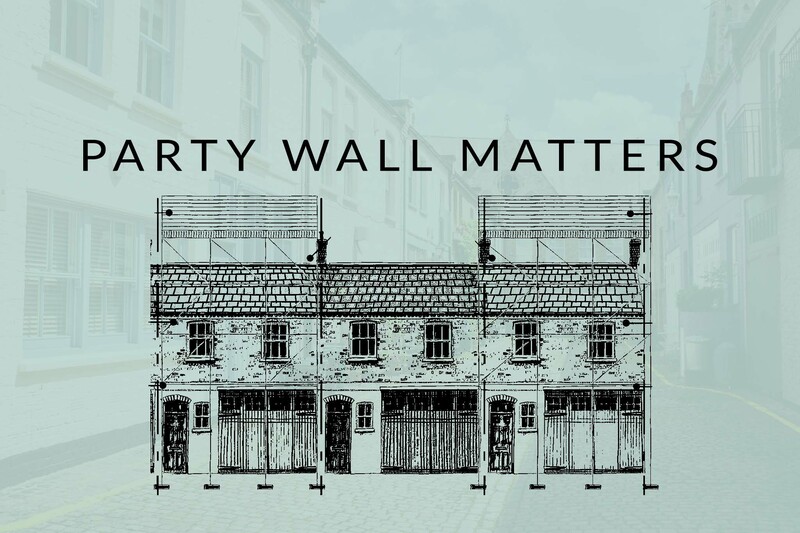 This is the second of an initial series of 10 posts about Party Wall matters that are specific to London Mews. Each post is written with the Mews owner in mind, either as someone carrying out development works (referred to in the post as a ‘developer’) or as someone with development works occurring next door (referred to in the posts as a ‘neighbour’). 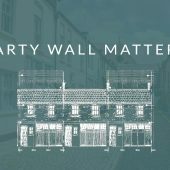 This post is the second of 3 that provide a general introduction to Party Wall legislation and explain the issues likely to affect either your or your neighbour’s Mews property. 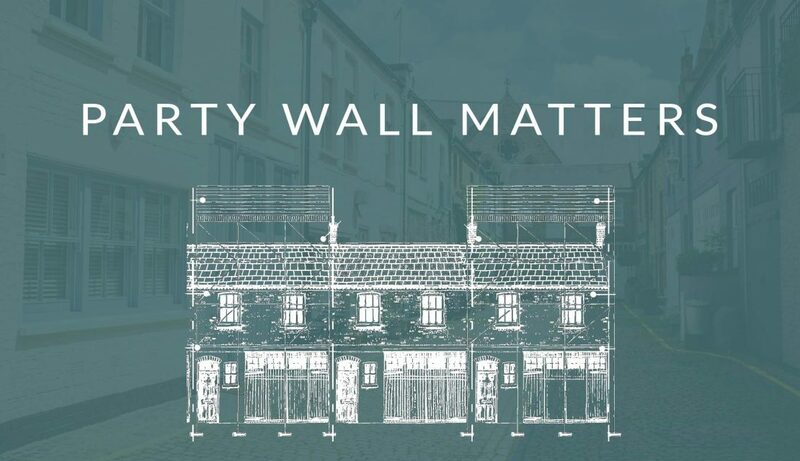 The remaining posts deal with Party Wall legislation and procedures, and their shortcomings, in more detail and they include typical Party Wall case studies and the related issues for Mews Owners and their neighbours. Notices – Party Wall notices are served to meet the needs of the Party Wall etc. 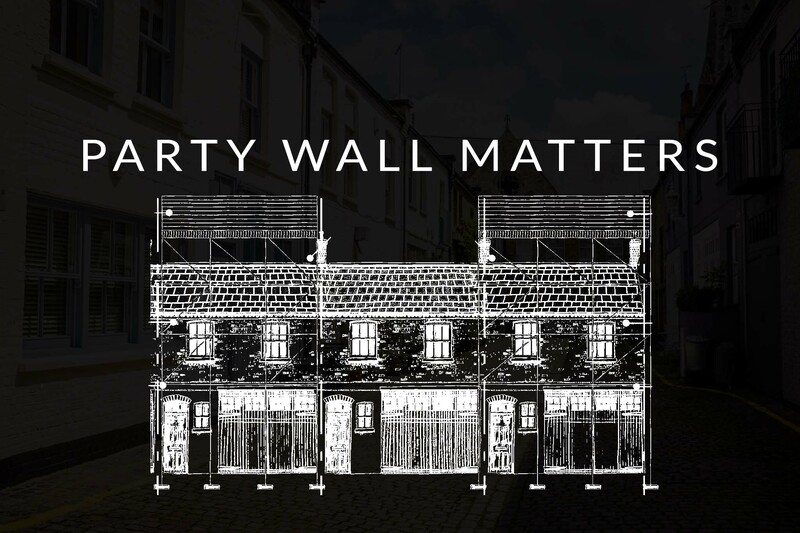 Act 1996 (hereafter the Party Wall Act) which is the latest in a series of Acts of Parliament that deal with Party Wall matters. The Act is an Act of Parliament and therefore it is a statutory requirement to comply with its conditions, much in the same way as Planning and Building Regulations make it a statutory requirement to comply with their conditions. The Act is referred to as an enabling Act, as it is primarily intended to facilitate building works. It is designed to allow the person who wishes to carry out the works (the developer) to do so providing the Act allows this, and the neighbours are informed and their rights upheld. In its simplest form it involves one party issuing a Notice detailing the works they wish to undertake and their right to do so. This must be issued prior to the works starting on site to allow Surveyors to be appointed and to get their agreement of an Award. The Award details methods of construction, restrictions on noisy works and most importantly of all, the clear identification of any pre-existing damage in adjacent areas to allow a future determination of damage caused during the course of the works. The intention of the Act is to avoid disputes between neighbours by ensuring that all matters of contention are dealt with and a formal agreement is put in place before the works start. Not all alterations and repairs will require a Party Wall notice as the legislation may consider them to be de minimus (too trivial for consideration). Significant works involving excavations or physical alterations and connections to the party wall will require party wall notices to be served. 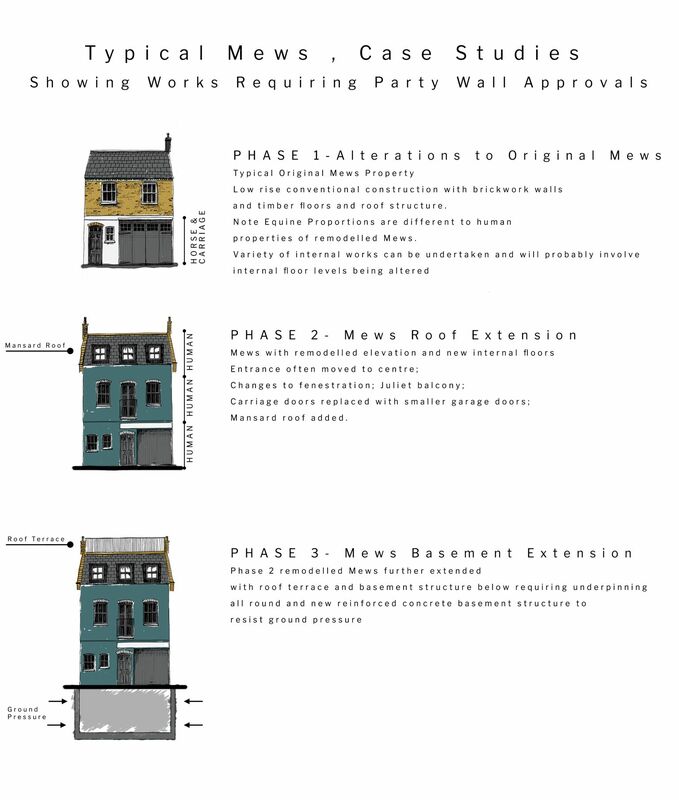 In the next post we consider the party wall works requiring approval for each of the phases of works.